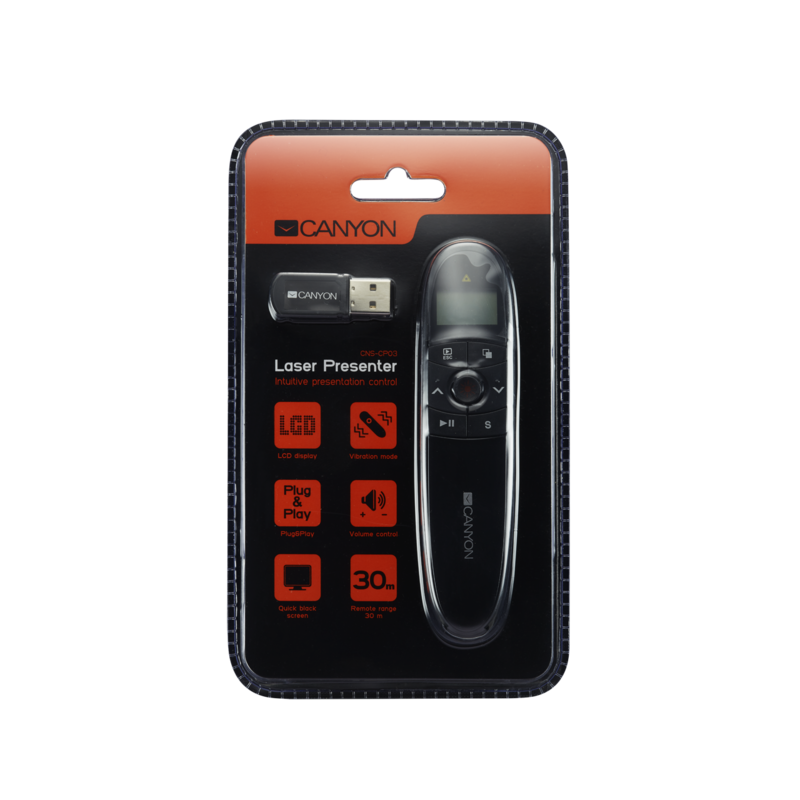 This pro-level laser presenter is the essential tool for your successful presentation. This is a great tool for large conference halls with working range up to 30 meters from a computer. 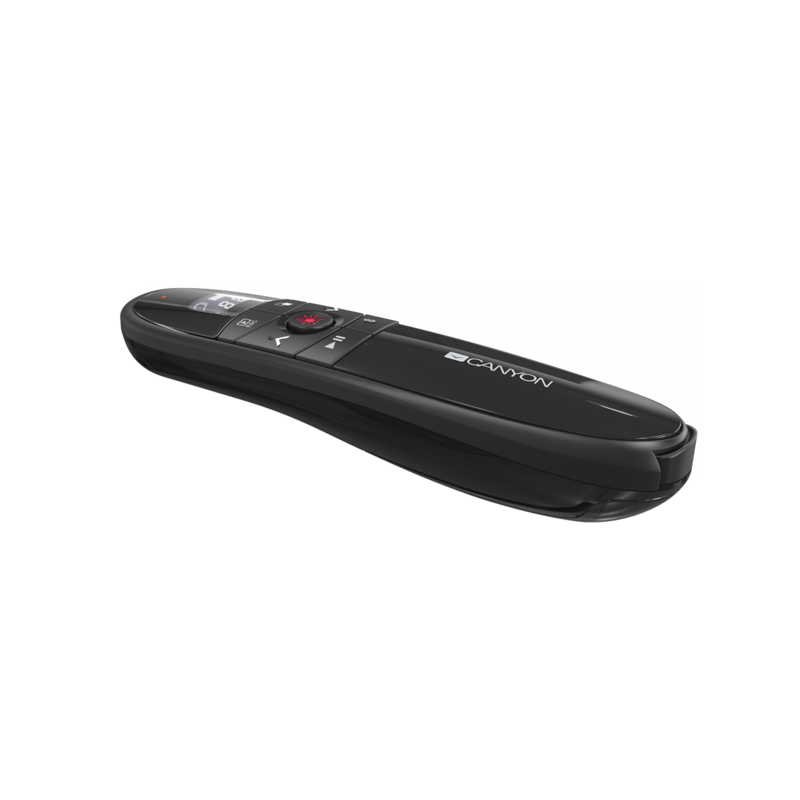 The device is plug&play and its operation is very intuitive – all buttons are easily found by touch. 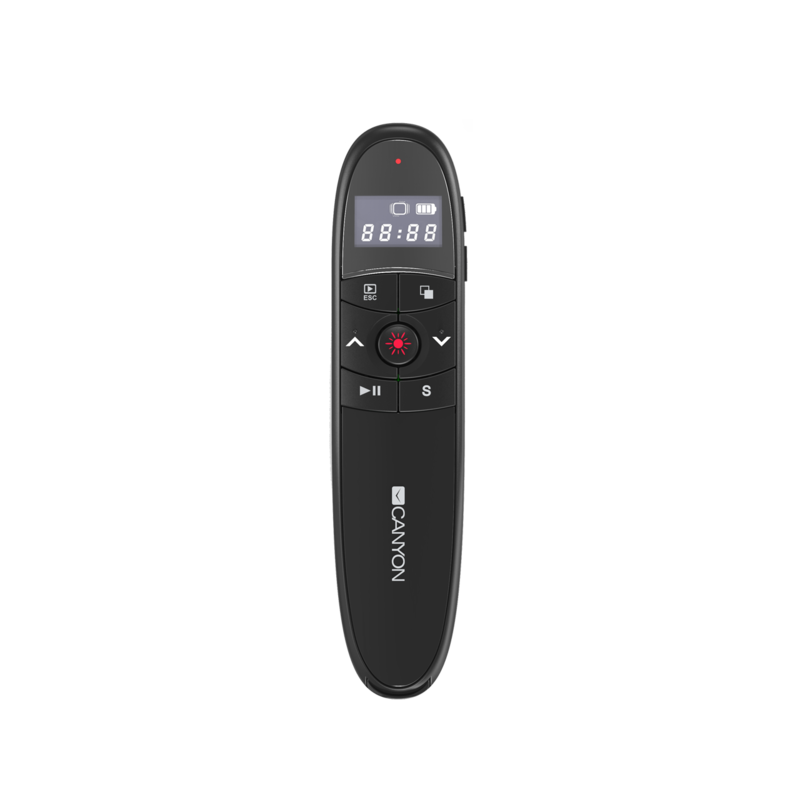 It has an LCD display and vibrating alert system, so you can keep track of time, battery, and signal quality.